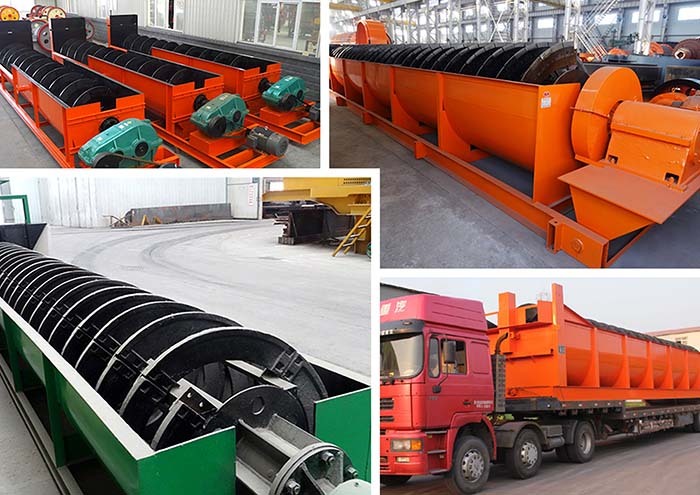 Processing ability:770-2800T/24hScrew diameter: 1500~3000mm Overflow quantity:85~1410t/h Rotation rate: 2.5~6r/min Applied materials:Natural sand, artificial sand, machine-made sand, limestone, talc, graphite, barite, mica, kaolin. The spiral classifier adopts the working theory of different particle sizes and weights leading to different settling velocities. 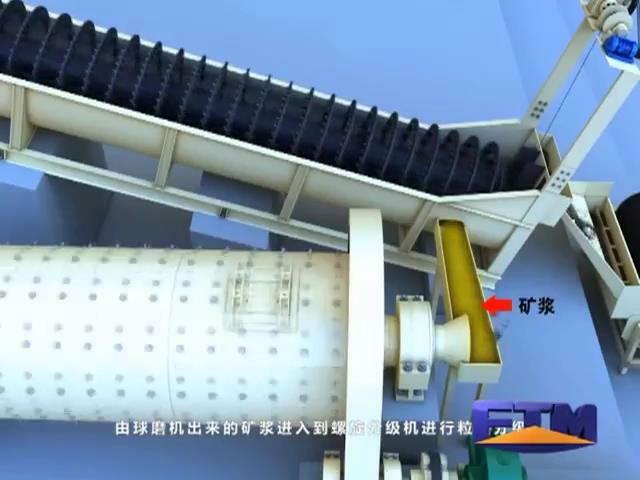 The fine mineral particles overflow and the coarse particles sink to the bottom of screw classifier and then are discharged from the upper end of the tank by the spiral shaft. 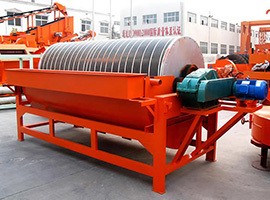 The screw sand washer or screw classifier can filter the powder materials ground by the grinder and then screw the coarse materials to the receiving port of the grinding machine. Finally the filtered fine materials are discharged from the overflow pipe. 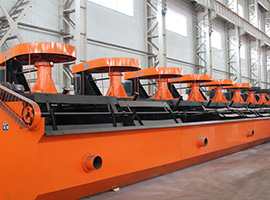 The bottom of the spiral classifier is made of box iron and the main frame is welded with the steel board. 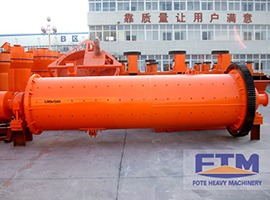 The water head, shaft head of the spiral shaft is made of pig iron which features strong wear resistance. And there are two kinds of lifting devices: power driven one and manual operated one. 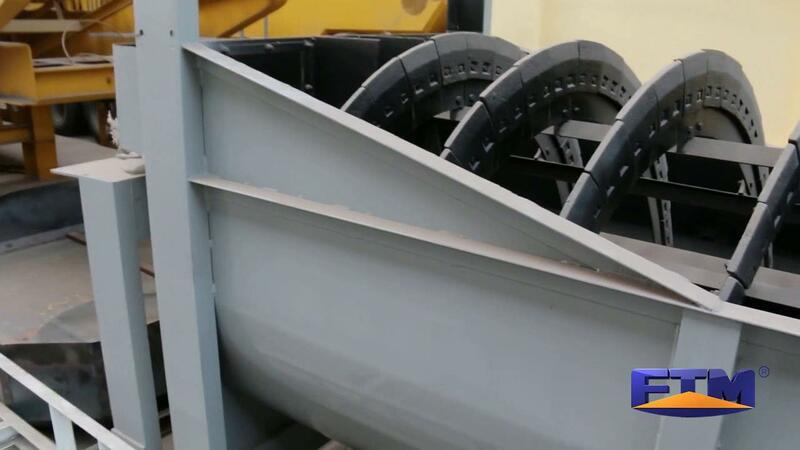 The spiral classifier or screw sand washer is widely applied by the dressing plant together with the ball mill as the closed cycle or applied to separate ore sand and fine mud by the gravity mill. 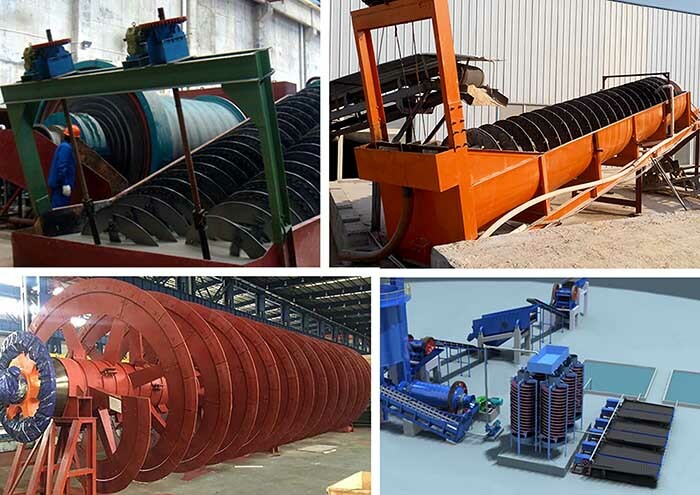 There are many types of screw classifiers such as spiral separator and screw classifier. 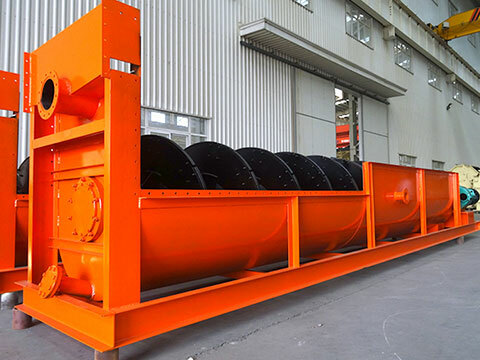 The screw sand washer is also used to grade the pulp particles in the metal beneficiation process and to remove mud and water in the ore beneficiation. 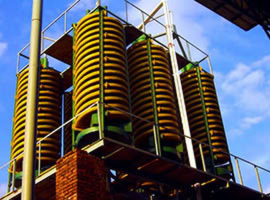 Fote spiral classifiers have the advantages of simple structure, reliable performance and simple operation.